No seriously, Neil is really a big deal, and if you follow his advice he’ll help you become a big deal. I live in Central Louisiana, which is like living in the dark ages when it comes to technology. So when I founded Ugly Mug Marketing (a website design and development company) I made a commitment to study and learn from the smartest people in the business. 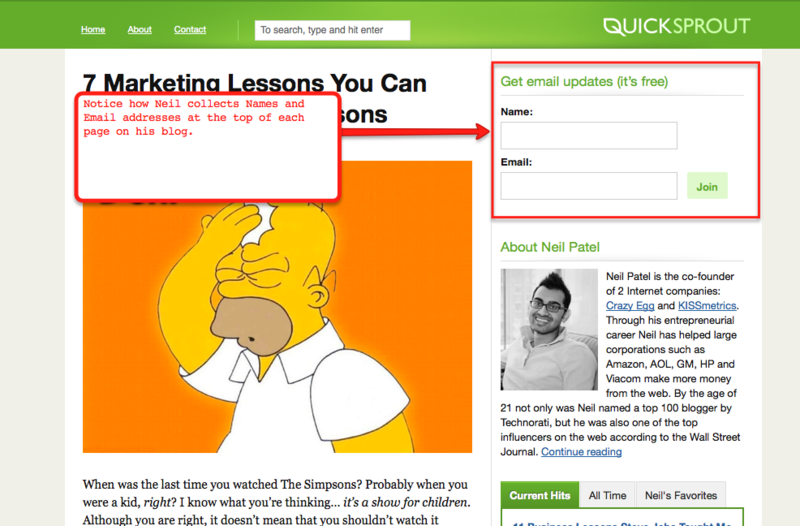 Neil Patel was one of those people. Neil Patel is the co-founder of 2 Internet companies: Crazy Egg and KISSmetrics. Throughout his entrepreneurial career Neil has helped large corporations such as Amazon, AOL, GM, HP and Viacom make more money from the web. By the age of 21 Neil was not only named a top 100 blogger by Technorati, but he was also one of the top influencers on the web according to The Wall Street Journal. Not only has Neil advised many of the Fortune 100 companies, but he has directly (and indirectly) helped thousands of entrepreneurs around the world. Stories sell. Stories compel. And stories dwell in our minds, making them easy to share. 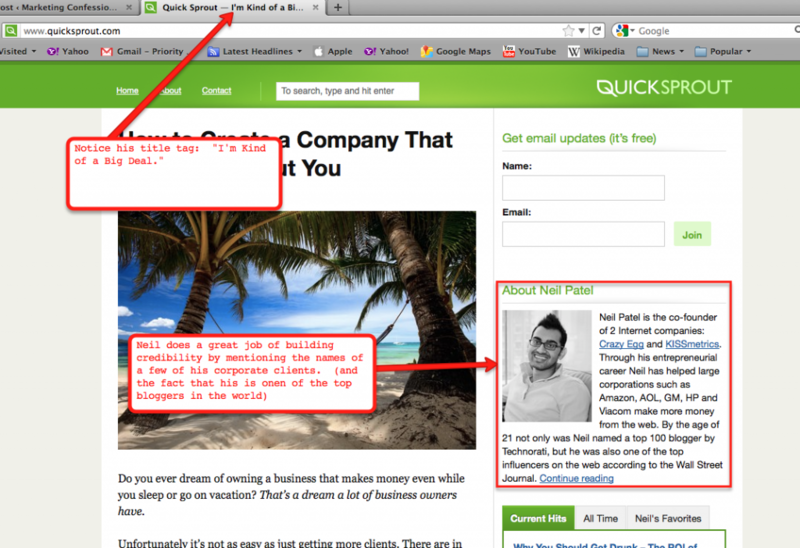 Neil has an amazing story, and he shares it on his About Neil Patel page. Give your back story. What led you to where you are today? Neil is accessible. You will find his email address clearly displayed on his Contact Page. However, before Neil gives his email address he sets expectations. Neil says, “I get an overwhelming number of emails every day, and although I read every email that arrives in my inbox, I can’t respond to all of them.” He’s warning you ahead of time that he may not be able to respond to your message, although he really wants to. 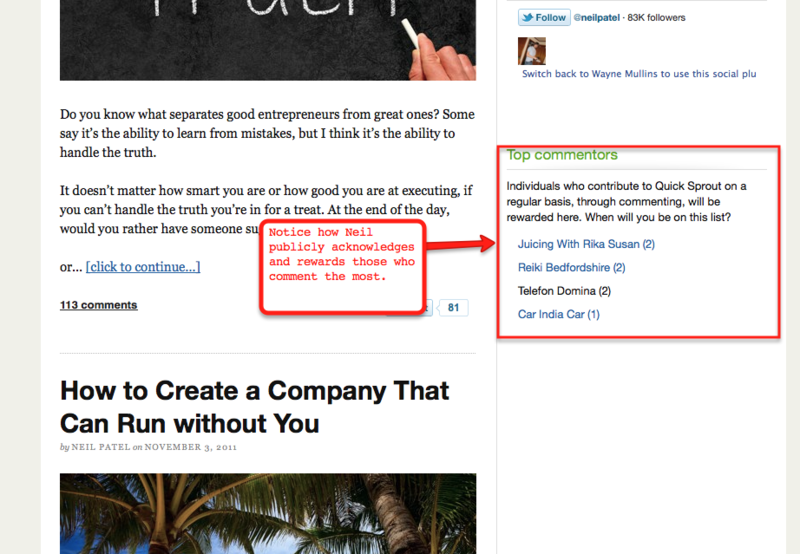 Neil rewards those who comment the most on his blog. He acknowledges them in the right column on his site. Not only does this give those who comment name recognition on each page of his website, but (more importantly) this gives them links to their blog or website. I’ve yet to meet anyone with a website who doesn’t want to build a large following. The more people following and interacting with your message, the more influence and impact you can have. Neil is building a following by offering free advice in exchange for your name and email address. On every page throughout his website he also has a place in the right column for people to receive updates via email. Have you heard the station WIIFM? That’s the station that your audience is tuned in to. WIIFM stands for – What’s In It For Me. 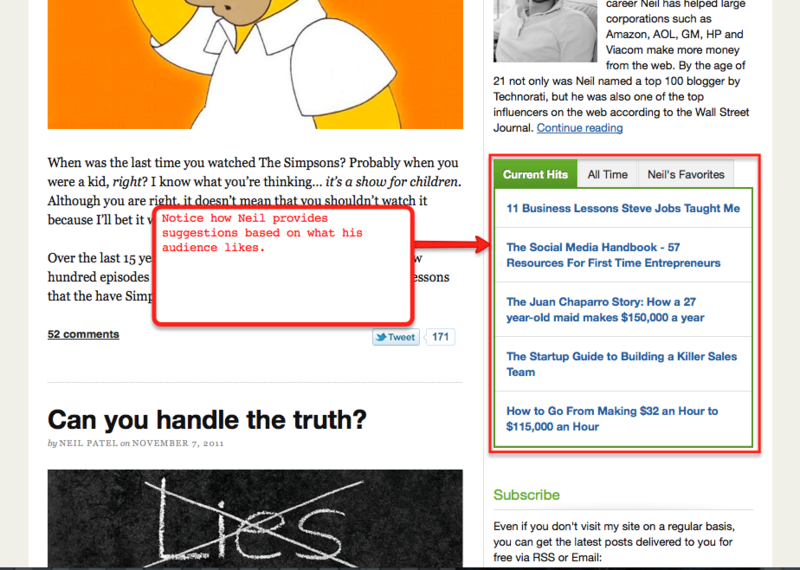 Notice how Neil conveniently displays other posts that may be of interest to his readers. If you’re going to succeed online, you have to understand your audience and then communicate messages that are meaningful to them. Neil regularly serves his audience by providing them with valuable tips and advice that benefit them. Your website is merely a tool for connecting and engaging with people. All too often people get lazy and rely on their websites to do all the work for them… and it simply doesn’t happen that way. You have to make the connections. You have to engage your audience. Your website can’t do it on its own. Neil is busy. He runs two companies, advises dozens of other companies, writes great blog content, and yet he still makes time to respond to each comment left on his blog. One other lesson is to remember to K.I.S.S. Your audience needs to be able to quickly understand if your message is relevant to them. An easy way to do this is by adding a “Conclusion” like Neil does at the bottom of each of his posts. So, my conclusion. You should not only read Neil’s blog and follow his advice, but you should also carefully watch what Neil does. I do, and my business is benefiting because of it. Who do you watch and learn from online? Leave a comment so we can learn from them as well. 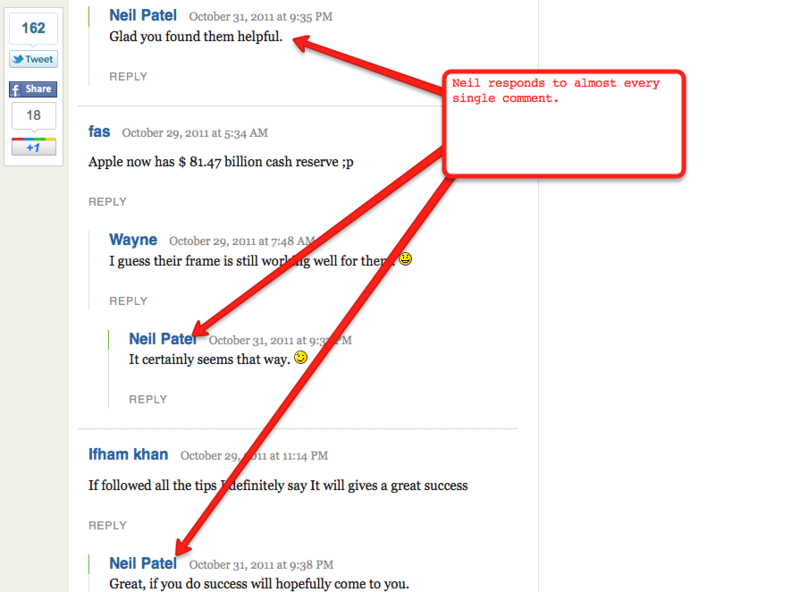 Ya, Neil is a master of internet marketing and super hard working guy, I suppose. Even though he is a hard-working master marketer, he is still very approachable. I’m a big fan of Neil’s approach to online marketing and building a personal brand. The tips in this post are great. I just wanted to share with you the latest blog post from my blog in which I have listed out 4 people from whom I’ve mostly inspired. Neil Patel is top on that list! 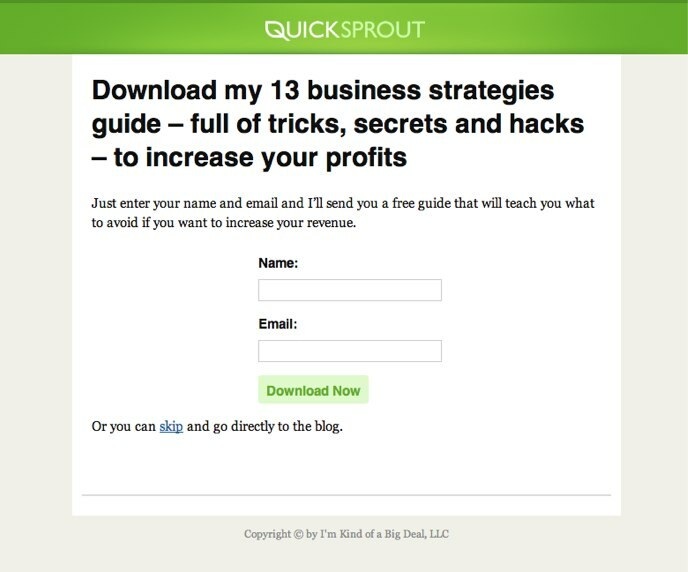 Quick Sprout is the blog which i truly appreciate. His efforts of being social, his influential talk and blog posts made him a successful entrepreneur. btw, he is no showing his email address publicly, but applied wp contact form instead to reduce his emails. I just love the infographic on his about page, his self explainary graphic on his about page, and the way he teaches me how to make more money and be successful. Neil Patel is really an energetic young man, there are lots of things to learn from him. This article brilliantly reveals secrets of his success. The author has made minute observations and pointed out things. Thanks for a masterpiece, Wayne! I m a big fan from India of Neil. His strategies are benefiting a lot..! !